WWF-India, in partnership with the state forest departments, is conducting camera-trapping exercises and line-transect monitoring in all its tiger landscapes to monitor tigers, co-predators and prey base. It was the key NGO partner of the Government of India in conducting the most comprehensive tiger estimation exercise as part of the 2010-11 countrywide tiger estimation, which revealed a mean tiger population estimate of 1,706. Research and monitoring activities is a crucial element in tiger conservation because it helps understand the movement of tigers within and outside Protected Areas, thereby proving the importance of wildlife corridors and potential tiger habitats outside the core areas. WWF-India works closely with local communities living around tiger habitats to mitigate human tiger conflict issues. It provides immediate financial support as an interim relief to victims in case of loss of cattle and ex gratia payment in case of human injury or death. This interim relief helps appease sudden anger and controls retaliatory killing of tigers by the local communities who have suffered losses. Long-term human-wildlife conflict management measures have also been implemented. 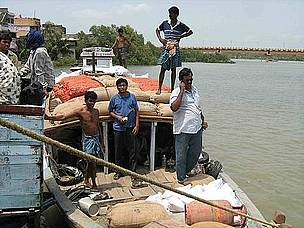 These include setting up of trenches around agricultural fields to reduce crop damage by wild herbivores, and installation of solar lights in the periphery of villages in Sundarbans to deter tigers from moving into human settlements. WWF-India involves the local communities living around tiger reserves into its overall tiger conservation strategy by promoting sustainable livelihoods, reducing forest dependence and strengthening local support for conservation. Villagers are introduced to alternate livelihood options such as production of jute and paper bags, vermi-composting, carpet weaving, mushroom and honey cultivation, and animal husbandry, which reduce their dependence on collection of Non Timber Forest Products (NTFP). In order to reduce their fuel wood consumption, smokeless stoves (chulhas) are provided to villagers, and they are encouraged to use biogas and bio-briquettes. Regular awareness programmes are conducted for school students and villagers to encourage involvement in conservation activities. 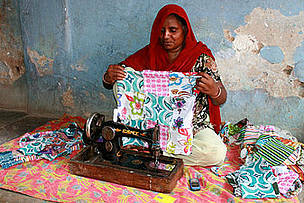 They are also made aware about different government programmes for livelihood development. WWF-India conducts regular environment education activities with local communities, stakeholders and the wider civil society to make them aware about the critical issues facing conservation, and the steps they can take to help. These awareness programmes are targeted at school children and teachers in schools around tiger reserves as well as urban cities. Awareness programmes are also organized for various responsible stakeholders in tourism, encouraging them to follow and promote environment and wildlife friendly practices around wildlife habitats. Local communities are engaged in programmes that discourage the hunting of wild animals. Environment education activities are supplemented with policy and advocacy work to promote long term change through implementation and adoption of appropriate policies by the state and central government. 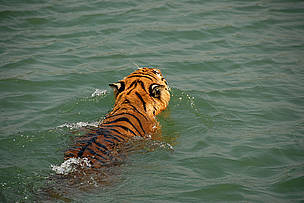 WWF-India is involved in the preparation of tiger conservation plans for some Protected Areas. It lobbies with state governments for the restoration of critical wildlife corridors, and protection of important tiger habitat outside tiger reserves. TRAFFIC is a joint programme of WWF and IUCN. In India, it operates as a division of WWF-India with an aim to monitor and investigate wildlife trade, and provide information to stakeholders as a basis for effective conservation policies. It conducts regular capacity building programmes to improve the understanding of wildlife laws and its implications for an array of enforcement agencies such as forest department, police, customs, and paramilitary forces. Sensitization programmes on wildlife are also conducted for the judiciary across the country to improve their awareness on wildlife laws. In 2010, at the Tiger Summit held in St Petersburg, Russia, tiger range countries committed to an ambitious and visionary species conservation goal: TX2 – to double wild tiger numbers by 2022, the next year of the tiger. India is playing an important role in the TX2 goal by protecting its tigers and sharing its expertise and knowledge on tiger conservation with other tiger range countries so that their tiger numbers can be increased. WWF-India is an essential part of this process through its tiger conservation work. WWF-India also works in certain important tiger habitats that fall outside these tiger landscapes, namely Ranthambore, Similipal, Panna and Buxa Tiger Reserves. WWF-India has stood by many protected areas and the surrounding communities, as they faced calamities.